Proud to be the year winner of Ross Holidays travel photography contest for 2014 with my photo taken in Pilion Greece in 2014 summer! 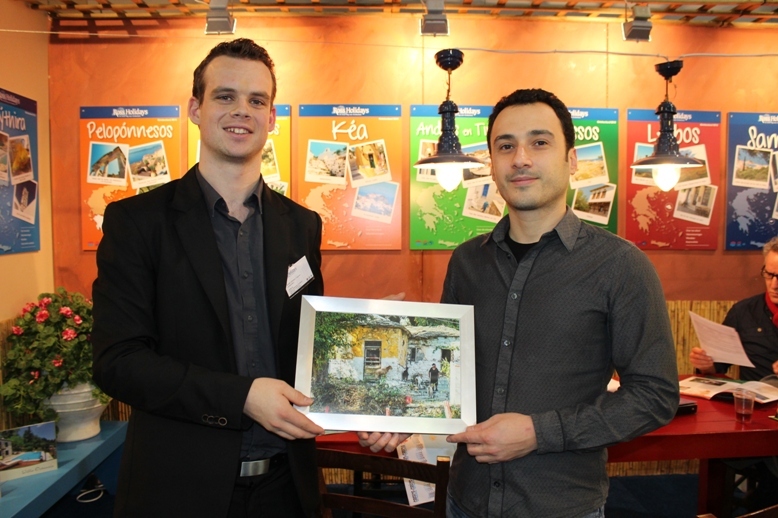 Today I have visited the vakantiebeurs in Utrecht to receive my prize. I have taken this photo in Visitza while returning from a mountain village trip. On the evening, the woman was just there and I took the picture with my Nikon D700 and 50mm 1.8 lens. 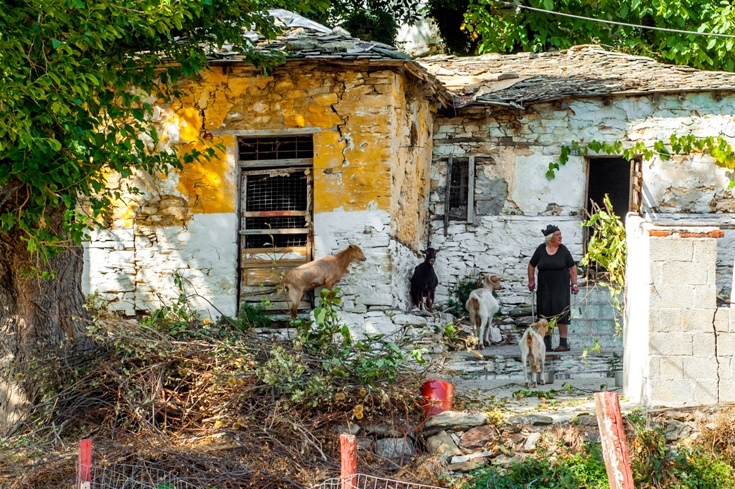 Old Greek goatherd woman living in the high mountain town of Vizitsa from Pilion region of Greece, collecting her goats in front of her old traditional Greek house while evening sun is slowly sinking from the facing mountain valleys. The grandprize that photo won is a 500 euro holiday cheque.